With just two days left for Goods and Service Tax (GST) to be rolled out, West Bengal Chief Minister Mamata Banerjee has expressed concern over its implementation, saying that after demonetisation the 'unnecessary disastrous hurry', in pushing GST through is another epic blunder by the Centre. "I am deeply concerned about GST implementation. After demonetisation, this unnecessary disastrous hurry is another epic blunder by the Centre," Mamata said in a Facebook post on Wednesday. Mamata further said that her government is not against GST, but is worried at the way the Centre is going ahead with its implementation. "Our repeated suggestions to take some more time to properly implement GST have fallen in deaf ears. The entire business community, especially the small and medium ones, are scared and confused. Only 60 hours are left before this ill planned launch and no one knows for sure what's happening," she added. Mamata further said that essential commodities such as medicines are not available in many places and prices of various commodities are rising for lack of clarity and mismanagement. "We have always been fighting for maintaining the federalist structure of the country, even if Bengal at times was the lone voice and conscience of the GST Council," she added. She further said that the Centre had initially opposed GST strongly for over seven years and suddenly did a somersault after coming to office as a champion of GST. "We are saying that the economy is not yet ready to face the GST from the 1st of July, 2017. The 3 days strike declared by the Textile Industries of India provides evidence to our deep concerns on the lack of preparedness. Small business entities are not yet ready with the basic requirements like invoice, accounting system, IT system, etc. Another piece of evidence of unpreparedness comes from the fact that the 'Return Form' had to be simplified for the first 6 months as all systems are not in place," she added. The Trinamool Congress (TMC) chief is off the view that at least six months should be given to the stakeholders to successfully implement the GST otherwise a chaotic situation may arise in the economy for which the Centre will be primarily responsible. "I hope the voices of the people and businesses is being heard and being paid heed to, by the central government," she said. 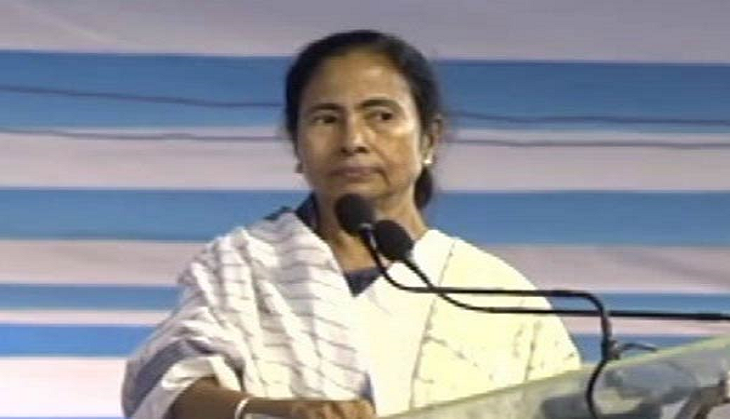 The West Bengal Chief Minister said that her party will not attend midnight programme at the Parliament House on June 30 to celebrate GST, as a mark of protest. The GST, a uniform tax regime, will be implemented from July 1.